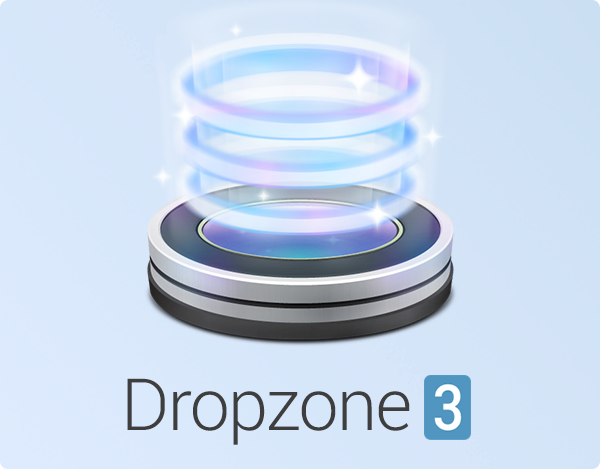 Today I’m thrilled to announce the launch of Dropzone 3. This is an update two years in the making and is the biggest update to Dropzone ever. If you haven’t already, you should first checkout the brand new website and watch the launch video. After that, come back here for a more detailed overview of what’s new. First of all, the grid has been totally redesigned. As you can see below, it has been split up into 4 different sections. There’s now a FOLDERS / APPS section an ACTIONS section and a TASK PROGRESS section as well as Add to Grid and Drop Bar at the top. The preferences have been simplified. If you’re a Dropzone 2 user, you will notice that the ‘Destinations’ tab has gone. This is because adding, removing editing and rearranging actions is all now done directly in the grid. A new ‘Toggle grid’ shortcut key as been added. 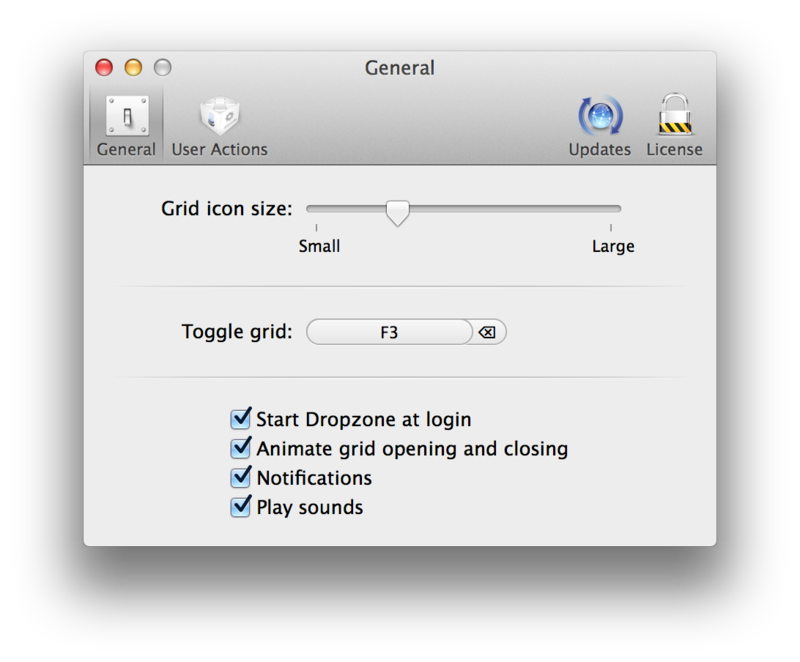 This can be used system wide to open and close the grid and is especially useful when you need to drag to the grid from a fullscreen app where the menu bar is hidden. A new ‘User Actions’ tab has been added. This shows the actions that you currently have installed. If you want to create your own modified action based on an existing action you can click the ‘Copy & Edit’ button. 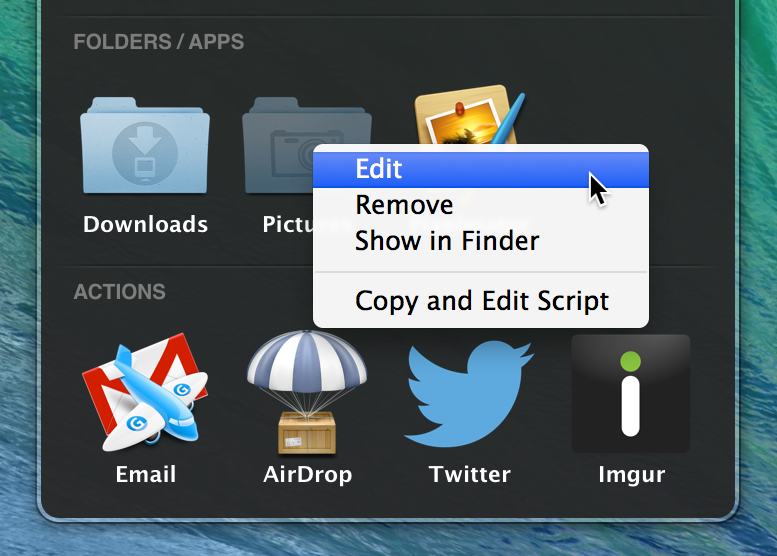 You can also delete actions you’re no longer using and reveal an action dzbundle folder in the Finder. Reveal can be useful if you want to make a copy of the dzbundle for distribution or if you want to modify an action bundle directly. There’s also a new ‘Check for Updates’ button in the bottom left, clicking this does a check to see if there are any newer versions of your actions available to install. Dropzone can now download and install the updated versions for you automatically. Note that auto-updating of actions is currently not available in the Mac App Store version due to app store rules. The updates tab is for controlling sparkle updater preferences and in the license tab you can register with your serial number or purchase a license for Dropzone 3. Note that the Updates and License tab are not shown in the app store version of the app as updates and licensing are managed through the app store. This is achieved using the new URL scheme which allows any action in the GitHub user actions repository to be installed by visiting the URL dropzone://action where action is the name of the action you want to install. 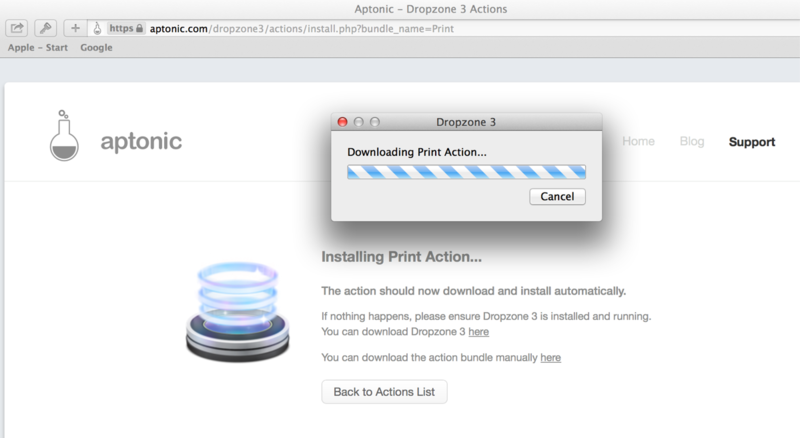 For example visiting the URL dropzone://Print would quick install the Print action (as long as you have Dropzone 3 installed). 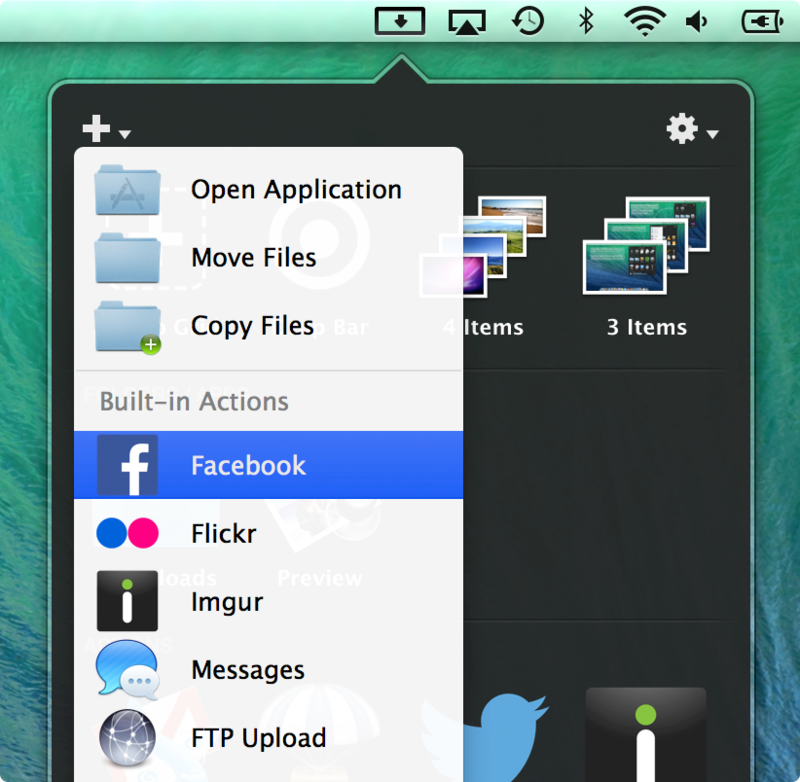 Dropzone 3 comes with a new built-in action for sharing images with Imgur – a popular image sharing service. 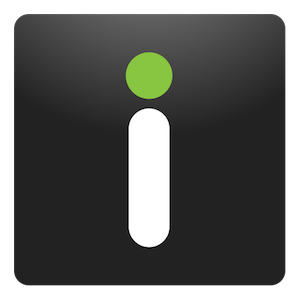 You can use this action to share images anonymously or by linking to your Imgur account. To use it, simply drop a single image or multiple images onto the Imgur action in your grid. If you drop a single image then the image is uploaded and the URL is placed on the clipboard. If you drop multiple images then you’ll be asked to enter an album name and the images will be uploaded to that album and the album URL will be placed on the clipboard. There’s complete instructions and a demo of this here. 1) You want to gather several files that are in different locations into a group and then copy them to a particular folder. Normally you would need to create a temporary folder to store the files, but using Drop Bar you can simply drag each file onto a Drop Bar stack and then drag the stack either onto a Dropzone 3 action or onto another folder or app. 2) You want to gather certain images from a website or from several websites. You can drag each image from your web browser onto the Dropzone 3 menu item and then onto a Drop Bar stack and then drag this stack of files to where you want them. 3) You have an app open (e.g. iPhone or iTunes) in fullscreen mode and want to move certain files to a folder in Finder. You can find each file and then drag it onto Drop Bar (press F3 to activate Dropzone 3 when in fullscreen apps) and then drag the Drop Bar stacks off into the Finder folder to copy the files. This is quicker and easier than activating exposé and trying to find the correct window to drag to for each item. Note that when you drag files onto Drop Bar, it simply creates a reference to that file – it doesn’t copy or move it from it’s original location or do anything with it until you drag it off Drop Bar. Therefore you need to keep the original file around even after dragging it onto Drop Bar. Some users have requested that Drop Bar have an option to take its own copy of a dragged files so that the original item can be trashed afterwards. I am considering adding an option for this in a future version. This seems like a small thing but it actually turns out to be a huge win in terms of usability. In Dropzone 2 if you wanted to change an actions settings you had to first open the preferences and then find the action you wanted to edit in a list. Now it’s much simpler – you can simply right click on an action in your grid to show a popup menu and then click edit. The right-click menu also allows you to remove actions, reveal folders in the Finder and even develop new actions based on already existing actions by using the ‘Copy and Edit Script’ option. The Circles feature from Dropzone 2 has been removed for now. This was mostly due to time constraints, but also because there were some very conflicting views from customers on Circles. Many people disliked them and disabled them immediately but just as many loved the feature and are disappointed it’s gone. They had some difficult technical and UX issues, such as accidental activation if your mouse got to close to the edge of the screen and a lot of difficult issues in dual monitor configurations. Personally I find them useful but they are also a huge nuisance to maintain from a technical perspective. For now, if you really still want them, you can run both Dropzone 2 and Dropzone 3 at the same time without ill effects – this is what I’m doing currently. It’s reasonably likely I’ll end up re-adding them in some shape or form in a future update. There are two slightly different versions of Dropzone 3 available – The Mac App Store version which runs sandboxed and the non-Mac App Store version which runs unsandboxed. Sandboxing is now required for all apps distributed via the Mac App Store and it places limits on what an app can do. 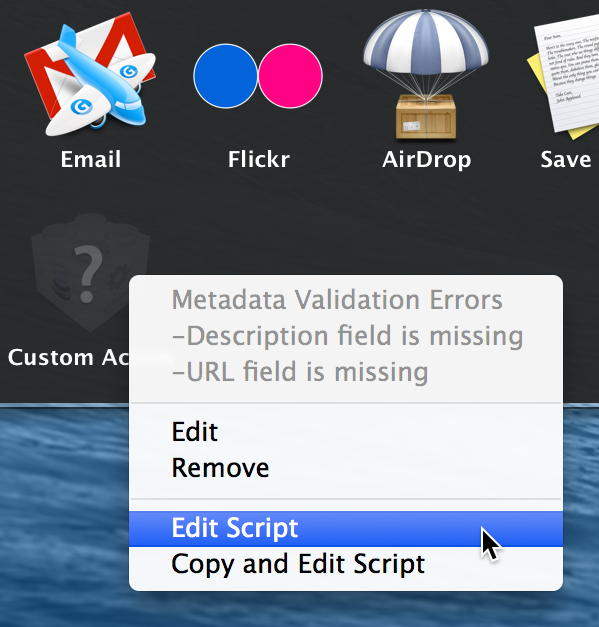 Sandboxed apps can only write to certain folders and can’t use AppleScript as well as several other restrictions. The two versions of Dropzone 3 will work the same out of the box and sandboxing only becomes an issue when installing certain add-on actions for Dropzone 3. 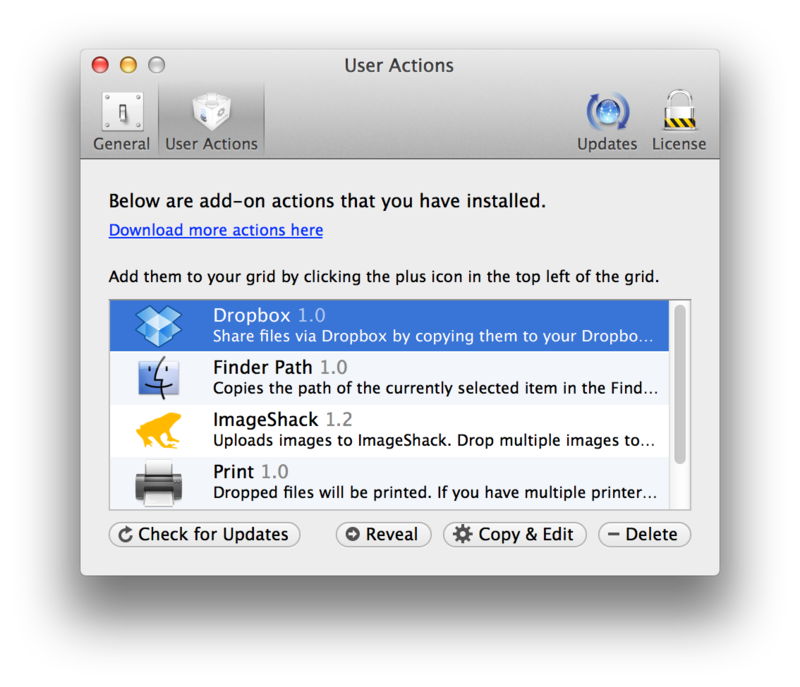 If you’re using the Mac App Store version of Dropzone 3 then initially you’re limited to installing the actions listed on this page. If using the non-Mac App Store version then you can install the full list of actions shown here. If you purchased Dropzone 3 from the Mac App Store and want to use an action that is not compatible with sandboxing then I have provided an easy solution: You can switch to the non-Mac App Store version by downloading it from here and moving it to your applications folder replacing your existing App Store version. When you run it, it will detect you purchased already on the Mac App Store and register you automatically. Full details on this process are given here. Note that you have to run the Mac App Store version at least once first for this transition to work. Therefore it doesn’t matter if you purchase Dropzone 3 from the Mac App Store or direct from us. You can easily switch between the two versions if you need to. If you have a Dropzone 2 serial then you’re eligible for a half price upgrade (only $5) to Dropzone 3 from our online store. Just make sure you select the ‘Dropzone 3 Upgrade Pricing’ option during checkout. I’m also offering a half price discount on the Mac App Store during the first few weeks after launch to give users who purchased Dropzone 2 in the Mac App Store an opportunity to upgrade to Dropzone 3. Beyond this few week window I’m unfortunately not able to provide App Store purchasers of Dropzone 2 a discounted upgrade as the Mac App Store does not support upgrade pricing. Although if you purchased Dropzone 2 in the past few months then by all means email me and I’m sure we can work something out. As well as the new features, lots has changed behind the scenes as well – Dropzone 3 now uses FMDB with a SQLite database instead of Core Data and the codebase has been updated to use ARC. If you don’t know what any of this means, don’t worry – the end result for you will be a faster, more stable app that receives frequent updates. I’m really excited about the future of Dropzone and am looking forward to sharing many new actions and features with you in the coming months. Thanks for your continued support of Aptonic and I hope you enjoy the app. Let me know if you have any feedback! Is it possible to make Evernote script for dropzone 3? Is there anyway to have existing actions in DZ2 carry over to the new version? delphinas – What I’ve done is added Evernote to my grid as an ‘Open Application’ action. You can do this by clicking the white plus icon in the top left of the grid and then selecting the Evernote app in your applications folder. Then you can drag things onto this action and they will be added to Evernote. Mark – There isn’t an automated way I’m afraid. Murphy – I’ve added a section in the post above explaining what the deal is with Circles. They may be coming back. We’ll see. Thanks for the reply. Hope the circles come back 🙂 That would be very cool. Just to show my faith in you i bought a 3.0 update. I also like the circles and have been relying on them for a long time even in dual screen mode. Actually I suppose they could be incorporated in the new screen if there was a clear choice as to whether to move a copy of a file or the whole file. By running both as you suggested I am now a happy camper and don’t need to retrain old neuro networks… Thanks for a very nice little app. I really LOVE the circles, this is why I bought this app, didn’t realized it was removed. I think it’s a great feature and very convenient, and you guys are the ONLY one currently using (used) this feature. I’m aware it was conflicting with some user and maintenance issues as well. However, I believe you guys can come up with ways, so it can work around for both technicalities and conflicting issues. I suggest having ONLY 3 or 4 applications to the circles, so it would also be easier to maintain. Or have an option for Enabling or Disabling the Circles. Also, can you please post the link where I can get the last version of Dropzone 2, where the circles were working. I will be running both, but mostly the version with the circles on it. Not sure how would that work, because I bought the current version from the AppStore. What a great utility! Thanks very much, loving it. Will have to check out the developer docs to write my own actions. But yeah, nice one! Not having the circles is new to me, but I’m trying to get used to it without them. They could get in the way a lot of the time and be annoying… Not opposed to not having them. The one thing I miss a lot is the SAY TEXT action. Anyway getting than one back? Create DMG was also nice. A possible compromise for the missing Circles feature would be to provide an option to use an extra-large (i.e. wide) menu bar icon. I haven’t had the chance to delve into Dropzone 3 much yet, but one nice thing about Circles is that you didn’t have to be very precise to trigger it; it just popped open when you’re in the general vicinity. An extra-wide menu bar icon would provide a bigger target to hit when trying to operate Dropzone while dragging something. Not sure if it’s possible to design it so it opens when the mouse approaches when not dragging something, but if it is, then that would take care of the rest of Circles’ functionality. Just purchased your App and love it. Was wondering if there is a way to preserve the colored tags that I have associated with my folders in OSX when I put them into the grid. This allows me to quickly identify the folder I’m looking for. 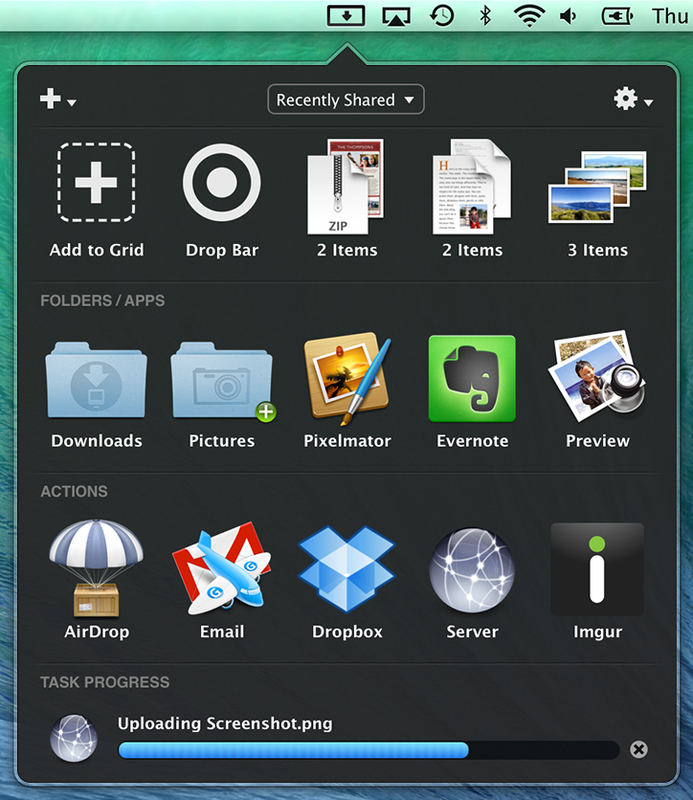 Alternatively, if you could specify folder appearance in Dropzone that would suffice. ECO – Thanks! Glad you like it. You can customize the grid icons by right clicking on an action in your grid and clicking ‘Edit’ – You can then drag a different icon into the box in the top left with the icon and click ‘Update’ to save it. JT – Definitely, I will convert the Say Text action to Dropzone 3 soon. It will be available at https://aptonic.com/dropzone3/actions when I release it so check back there soon. Your were recommended by the makers of Courier, who are no longer supporting that app. I’m looking to upload multiple videos to Facebook. Is it possible with this app? If not is it something you are looking to introduce or can you recommend an alternative. Hey why are all the dropzone actions “un sandboxed.” Won’t un sandboxed actions mess up your OS X system. Anyone?? Curt – Some actions run sandboxed and some are not able to be sandboxed. The unsandboxed ones require the non-Mac App Store version of Dropzone 3. If you bought the non-Mac App Store version of Dropzone 3 you can easily switch to the unsandboxed non-Mac App Store version by downloading it from https://aptonic.com/dropzone3/latest and moving it to your applications folder and replacing your existing version. It will detect you purchased it on the Mac App Store and register you and transfer your actions automatically. As far as unsandboxed actions messing up your system goes – it’s not likely. All actions released via our site have been carefully tested to ensure they don’t cause problems. A new user – You should be able to upload videos to Facebook by adding the Facebook action to your grid by clicking the white plus icon in the top left of the grid to open the add action menu. You then choose ‘Facebook’ to add this action to your grid. Hi. Great App but I am missing the ‘ZIP and EMail Script’ from v2. Cheers.